Equi-Steps offers unique and engaging programs incorporating experiential learning through animal interaction. Our programs include: Equine Assisted Learning (EAL), skills development, life skills curriculum, field trips and educational programs, events, & more! ​EAL is a rapidly growing field that is well researched, documented, and scientifically proven. Equi-steps offers EAL programs for individuals and groups including but not limited to those who have experienced PTSD, Depression/Anxiety, ASD, bullying, grief, health issues, significant life change, family challenges, as well as positive team building workshops for corporations, families, couples and sports teams. All programs are tailored to meet the individual needs of the client. Equi-steps believes in paying it forward and investing in our community. Ten percent of all program fees are donated to subsidize community outreach programs. Thank you for helping to have a positive impact on our community. Innovative, memorable and results-oriented solutions. Give your leaders the skills training and development to grow for themselves and your organization! If your organization is unique, shouldn’t your events be too? the youth thrive in this ever changing world. Those experiencing things such as; anxiety, depression, PTSD, bullying, etc. Maybe you want to develop better self confidence, empowerment, and more! Discover what gives your life meaning, gaining skills for life to help you thrive! Empowerment programs for girls and women of all ages! With Equi-Steps, it is truly unforgettable learning. Our teachers are 400 - 1200 lbs. because if a horse (or pony) doesn’t have a leader, they will become the leader. They are a prey animal. react to the slightest changes within a team - allowing facilitators to find those “teachable moments”. Horses have a lot to teach us, but they are also a lot like us. Herds to horses are just like teams to people. Horses require a leader that they trust and respect, just like we would love to have in the workplace. These parallels give us the ability to parallel everything that happens to real life so that what you learn really sticks! Quite simply, the horse does the teaching; facilitators are there to offer explanation and provide guidance as they work through the solution. Working with horses creates memories that we can apply to our lives and retain far longer than sitting in ‘just another classroom'. To put it simply, Equine Assisted Learning is a learner based educational, experiential experience with horses. More specifically, Equine Assisted Learning is a horse course with an effective approach to human development that encourages individual and team growth. Participants engage in objectively driven exercises and find themselves learning valuable life skills in a fun and exciting atmosphere. Equine Assisted Learning has proven to be useful, powerful, positive, educational, and creative. The Academy of Equine Assisted Learning’s program emphasizes it’s BuildingBlock™ curriculum of facilitating life skills through positively reinforced interaction with horses. The horse's jobs are speaking to the clients through their bodies to help bring about the changes that the clients need to make. Exercises are developed to encourage self-confidence through validated, hands-on experiences. 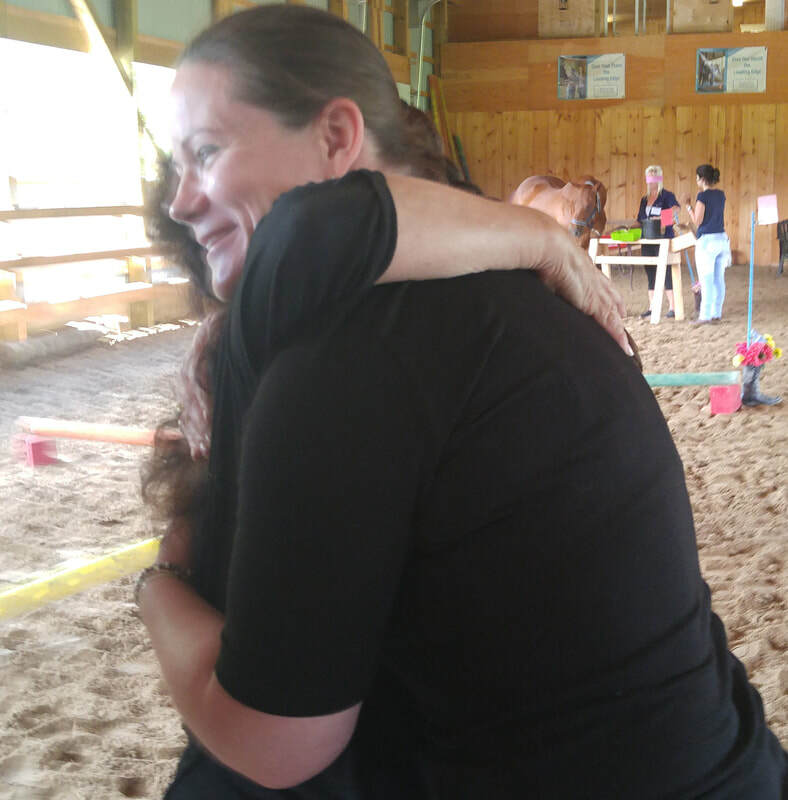 Equine Assisted Learning through the Equine Connection is NOT equine therapy. 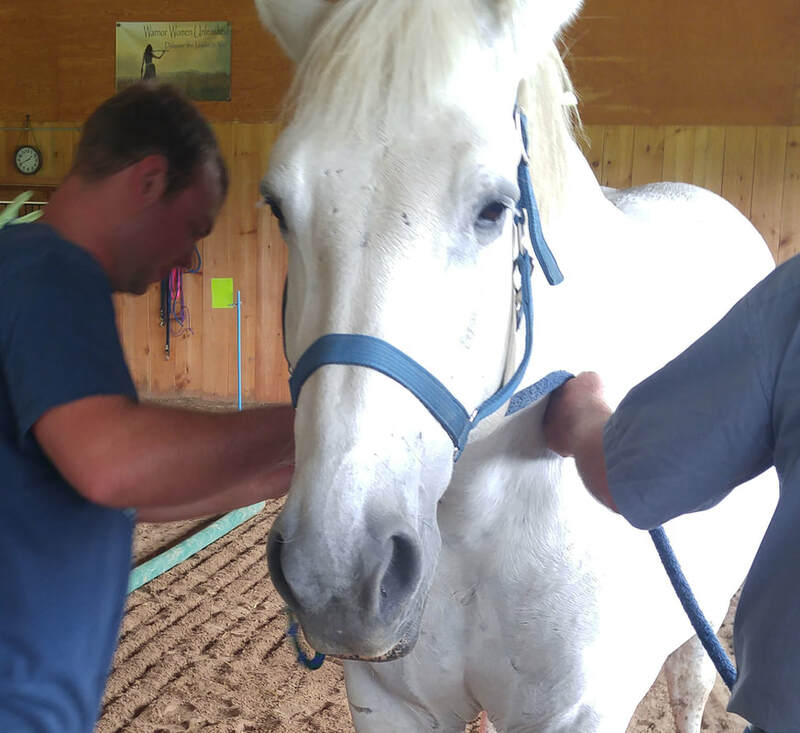 We do not require a clinical professional with us to do these exercises and programs given to you in your horse course. Equine Assisted Learning works, because the teachers are the horses! Horses feedback is honest and instant. Quite simply, equine-assisted learning, works! All work is done from the ground...no riding involved. Proven and published to be successful! Why is Equine Assisted Learning Certification Important and What Does it Mean? 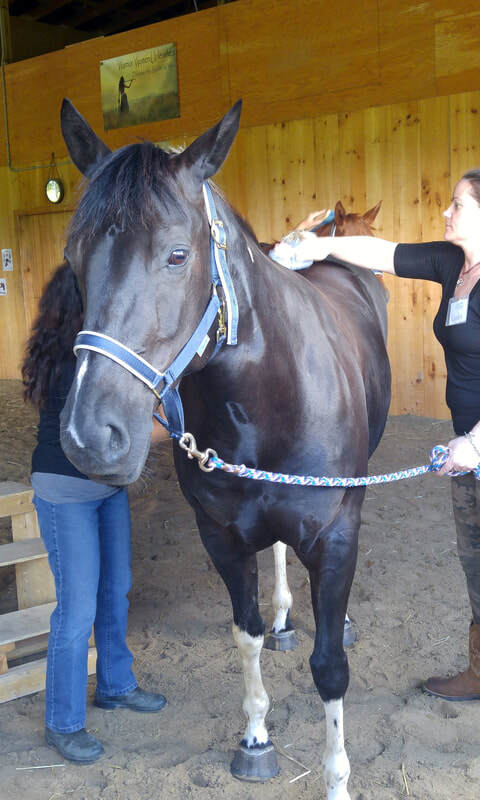 The Equine Assisted Learning Certification Course through Equine Connection ensures the technical competence of their trained professional facilitators. Certification exams go beyond training by providing an objective measurement of a facilitator's knowledge and skills. As defined by the Global Certification Institute: Certification refers to the confirmation of certain characteristics of a person, organization or object. This confirmation is often, but not always, provided by some form of external review, education or assessment. One of the most common types of certification in modern society is professional certification, where a person is certified as being able to competently complete a job or task, usually by the passing of an examination. The purpose of any professional certification is to produce official and public recognition of an individual's competencies and capabilities in a professional subject area.